Lutein is one of the most abundant carotenoids found in fruits, vegetables and even plants like marigolds. Lutein has antioxidant properties and is found in the macula of healthy eyes. ** Your body’s natural supply of Lutein can decrease with age. and since Lutein isn’t made in your body, a supplement like Lutein is a smart way to make sure you get enough every day. 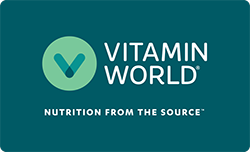 Formerly known as Lutigold Lutein, Vitamin World's Lutein is a formula featuring Lutein, which is derived from pure, natural sources, and naturally contains Zeaxanthin. Lutein is also nongenetically modified. As we age, our body’s natural supply of Lutein decreases and since Lutein is not made in the body - it's important to take every day. Both Lutein and Zeaxanthin are found in the macula of the eye, where carotenoid levels play an important role in eye health. ** Easy to swallow. Each softgel serving delivers 20mg of Lutein. Contains 120 rapid release softgels. Other Ingredients: Safflower Oil, Gelatin, Vegetable Glycerin, Yellow Beeswax, Olive Oil. Warning: If you are pregnant, nursing, taking any medications or have any medical condition, consult your doctor before use. Avoid this product if you are allergic to daisy-like flowers. Discontinue use and consult your doctor if any adverse reactions occur. Keep out of reach of children. Store at room temperature. Do not use if seal under cap is broken or missing. Lutein 20mg is rated 4.4 out of 5 by 15. Rated 5 out of 5 by Anonymous from very good product This product is awesome and healthful.My mother is very happy. Rated 5 out of 5 by Nozzle262 from Excellent product Excellent product at an excellent price , usually on sale, and slivered to our door! Luv it! Rated 4 out of 5 by Anonymous from Exellent Thank you for your excellent products, we'll keep feeling its efficiency. Rated 5 out of 5 by E. M. from Excellent product I appreciate it when you have Lutein buy one get one free. It is so expensive in the stores, but want to take it every day. Also appreciate the good service in receiving it.